There are trips to Greece, and then there are trips to Greece with Nomad Hill. We take the thoughts of capturing the postcard shots and dreams of sailing along the coast and craft those into your perfect itinerary. The destinations in Greece provide the ideal blend of history, breath-taking scenery, magical moments, cultural experiences and plenty of indulgence. Of course, the most sought-after destination is Santorini, being the island worth million postcards. 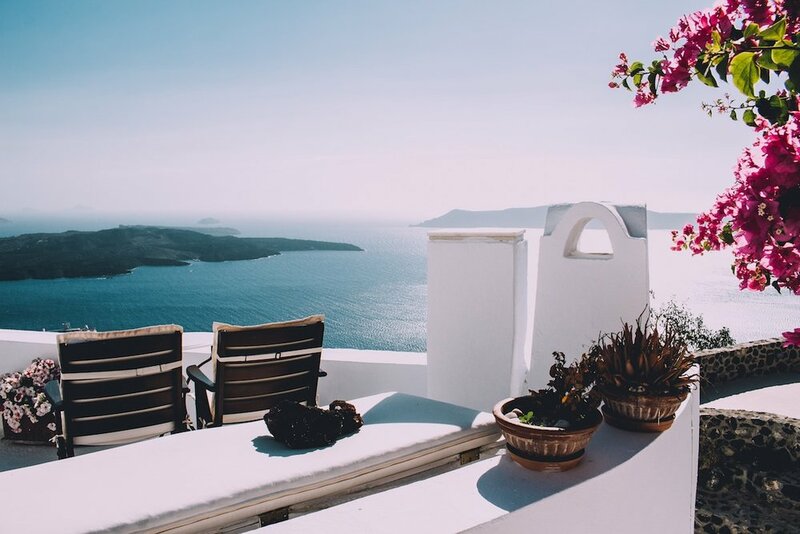 Santorini is one of the many locations we dream about, but thankfully there are many more to experience. 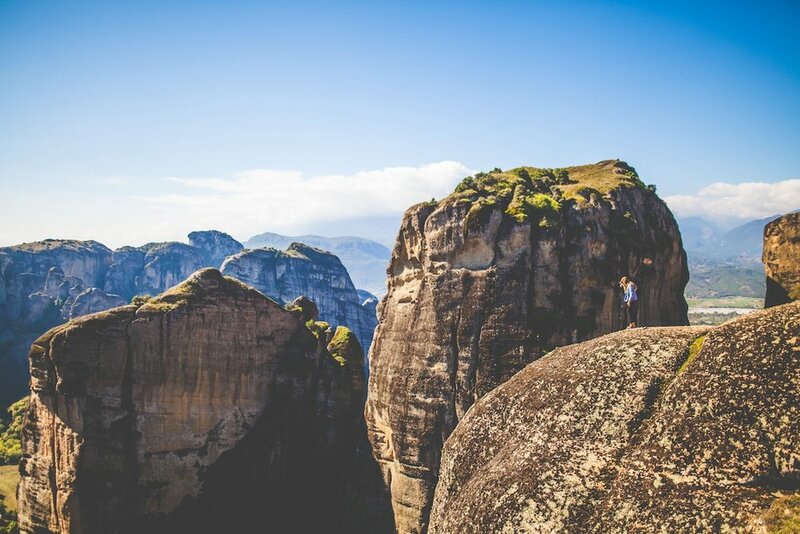 From the islands of Folegandros and Kea, which provide the best hiking and authentic encounters with locals, to Mykonos and the main land, providing a mix of opportunities for food lovers and party animals alike. Each destination is unique on it's own, yet shares the same historic culture, passionate locals and energetic vibe to create a feeling of unity that's purely Greece. This makes traveling here ideal for any traveler, new or seasoned. Santorini is a destination that romantics dream about. 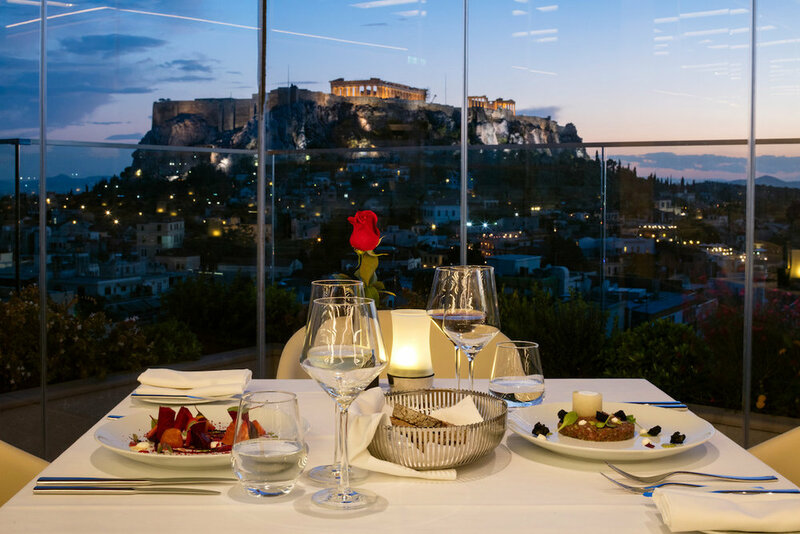 Enjoy a candle-lit dinner atop the edge of a cliff looking down upon the Caldera, taking in the breathtaking views and even more delicious Mediterranean cuisine. This is one meal that will leave lasting memories. Starting from Mykonos or Santorini you can enjoy a fabulous two or three day private cruise and discover the hidden secrets of the Cyclades. The dreamy beaches of Koufonisia are just waiting to be discovered, along with the stunning medieval villages and cliff-side monastery of Amorgos and the inhabited island of Poliagos. There is no better way to discover these destinations than with your very own motorboat and dedicated crew. This is truly the experience of a lifetime. Folegandros is one of the lesser known islands in Greece, yet it is stunningly beautiful. With its rugged nature to its traditional villages and Ancient churches, you will feel like you have stepped in a different world. This is a place of natural beauty and serenity and there is no better way to discover it than by hiking along its numerous trails and re-connecting with nature. 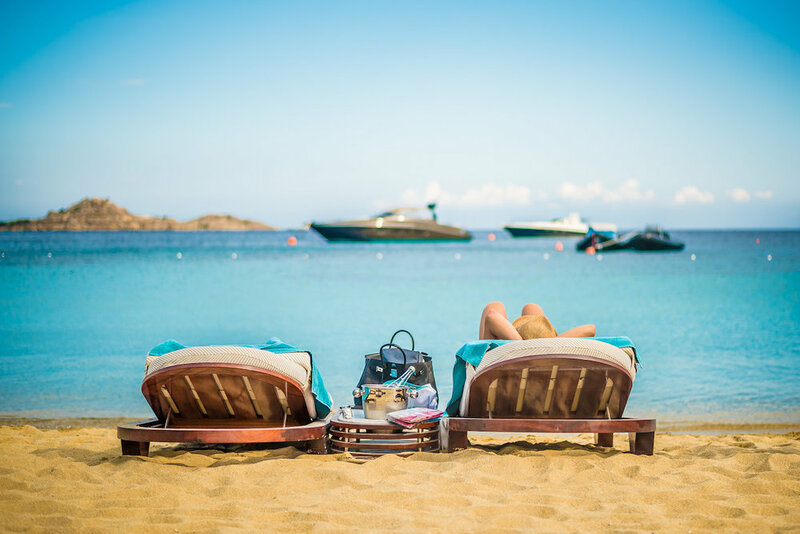 Mykonos is known for having the best beaches and even better beach parties. At the Scopios Beach Club, indulge in best selection of drinks while taking in the sunset and dancing the night away. This exclusive party may not be the only one in Mykonos, but it will most certainly be the most fun. The caves along the coastline of Milos are worthy of a million postcards. Experience the thrill of snorkeling along the caves with the help of a professional guide along the way. They'll take you through the caves to see parts of the caves that the postcards normally miss. Santorini welcomes you in a place of ineffable beauty and tranquility. Perfectly located in the unique village of Imerovigli, the island’s most romantic side, this dreamlike hotel provides endless views of the glorious Aegean sunset and volcano, luxurious and warm influences, and all comforts and conveniences for truly unforgettable holidays. 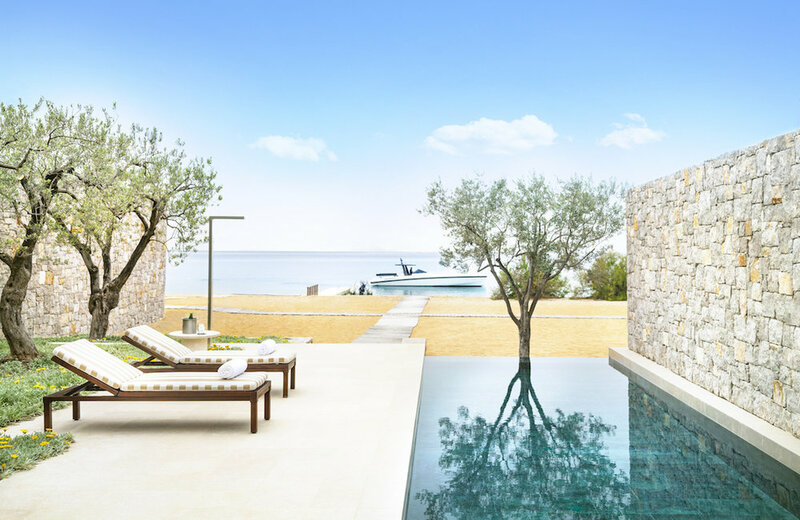 Situated on a gentle rise surrounded by undulating olive groves, Amanzoe’s 360-degree views take in the Peloponnese countryside and rocky coves. Each Pavilion is accessed via a stone-walled courtyard, leading to a high-ceilinged living area and king-size bed positioned in a marble alcove with views. Carved into the Cliffside, Canaves Oia Suites were traditional wineries of the 17th century that have been modified and transformed into elegantly designed luxury suites. Vast spaces and private plunge pools with stunning views to the Aegean Sea reach the ultimate levels of luxury, blending spectacular vistas with luxury accommodations and impeccable service.